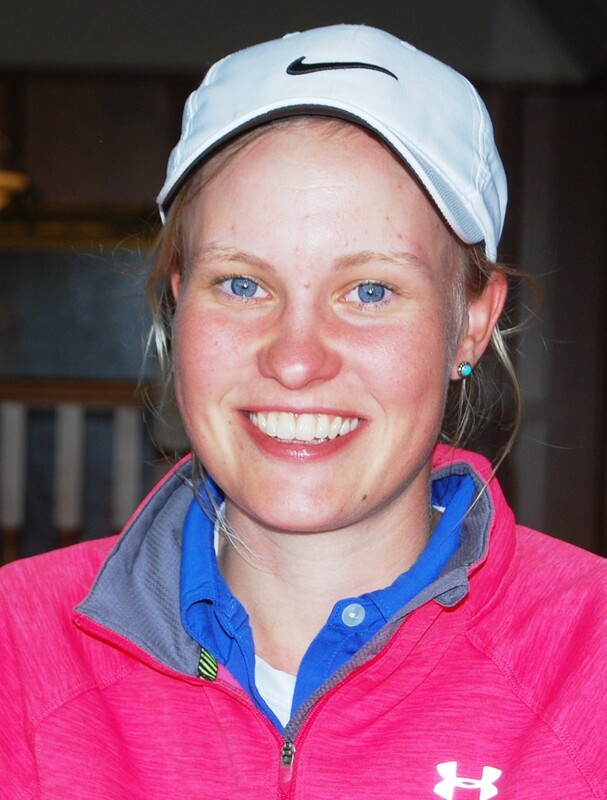 Gabrielle MacDonald (Craigielaw), the 2014 champion and beaten finalist in 2016, is through to her third Scottish women's amateur championship final after playing 44 holes on the penultimate day of the tournament. Gabrielle, pictured right, will play Gemma Batty (West Linton) in Saturday's final of the 104th staging of the tournament, at Golf Club House, Elie in Fife. MacDonald knocked out the No 1 seed, Chloe Goadby (St Regulus) at the 23rd hole of a marathon morning quarter-final tie. Then she squeezed past Hannah McCook (Grantown on Spey) with a birdie 2 at the short 21st hole. Batty, pictured left, was three under par in beating the 2016 champion, Ailsa Summers (Carnoustie Ladies) by 5 and 4 in the semi-finals, having beaten Tara Mactaggart (Minto) by 3 and 2 in the morning quarter-finals. Summers had won at the 19th in the quarter-finals against Jasmine Mackintosh (Hazlehead), conqueror of defending champion Connie Jaffrey (Troon Ladies) earlier in the tournament. The Clark Rosebowl was won by Louise Fraser (Kingsknowe) who birdied the 18th for a one-hole win over Katie Scott (Strathaven) in the final. G MacDonald (Craigielaw) bt C Goadby (St Regulus) at 23rd. H McCook (Grantown on Spey) bt J Saxton (Muckhart) 1 hole. G Batty (West Linton) bt Tara Mactaggart (Minto) 3 and 1. A Summers (Carnoustie Ladies) bt J Mackintosh (Hazlehead) at 19th. L Fraser (Kingsknowe) bt C Taylor (Nairn) 4 and 3. K Scott (Strathaven) bt A McKay (Crail GS) 1 hole. Fraser bt Scott 1 hole.